The Jacks broke a three game losing streak last week with a win against Perth Glory and striker Bayley Brown-Montgomery said it was a well-deserved win. “Last week was a great three points for us and we were over the moon as we had worked extremely hard on our defensive structure during the week, and we knew how they’d be set up and it worked well,” he said. The pacey striker knows what to expect from Bayswater, but he said they are determined to get the three points. “They (Bayswater) are one of the toughest teams in WA, but we always give them a run for their money, and Saturday will be no different,” he said. Tommy Amphlett returns to the squad after injury, and Coach Dale McCulloch has a full squad to choose from, and he’s looking for a repeat of the performance he got against Glory. “Last week win against Perth Glory was a much needed win and broke our three game losing streak. It was a good all-round team performance, and we showed a great deal of endeavour and attitude, which was missing somewhat in the previous two games,” he said. McCulloch knows the quality Bayswater have in their side but he’s confident if his chargers play at their best, no team in the league can match them. 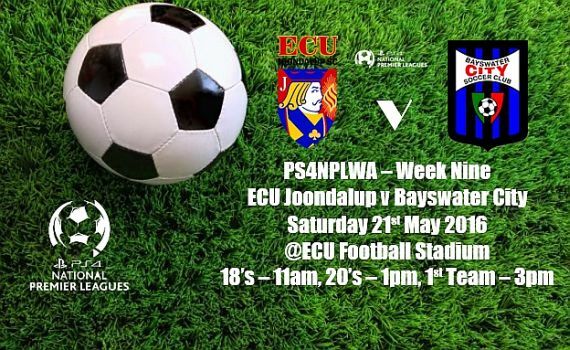 “They (Bayswater) have been the benchmark of the league for the last three years, and they have continued on with that his season,” he explained.